They met in Panama and shook hands and the news went viral. This is a reference to the meeting and shaking of hands between President Barack Obama of the United States and Cuba's strongman, Raul Castro. Some people have rightly or wrongly described the meeting and shaking of hands as between capitalism and socialism. Keen observers have said those who see the handshakes as between capitalism and socialism cannot be far from the truth, because they said Obama represents the world's number one capitalist country, and Castro as the learn of the world's unrepentant socialist country. Although, the news following the meeting and shaking of hands between Obama and Raul said the meeting in Panama will pave ways for further agenda in the offing between the US and Cuba, no one seems to be asking questions about the direction of the newfound love between these two strange bedfellows and how it will augur for humanity. People have said there is nothing strange for people to disagree and to later agree. However, people have said that in agreeing again, there are fundamental issues that must be addressed about who would submit to the other. 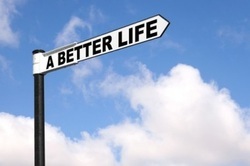 Who would give up his or her avowed ways of life to make the new relationship work? The question is described as relevant by observers who have viewed the reason behind the earlier disagreement between the US and Cuba as having underline fundamental reasons that cannot be glossed over. Iran wants nuclear power, but some powers don't want Iran to acquire nuclear power. Iran says it wants the power to generate electricity and industrial needs. But the power against Iran's possession of nuclear power cannot trust Iran. The world also knows that Iran too is playing the game of power, that it wants power to equal and challenge certain powers is not hidden. The struggle for power as demonstrated by event between Iran and powers that are checking its drive to possess nuclear power is not new. The struggle for power has existed from creation, when Satan was expelled from heaven. Power is one ingredient everyone one desires, but which only few can boast of its possession. Ideally, every human being has one power or another, spending on the degree of the power and how and where it is exercised. The ruler has power over his or her subjects; husbands has power over members of his family and in some other climes, it is the woman who exercises power over the husband and children. There is also the power in places of work exercised by the bosses over their subordinates. Power is sweet, but it has capability of promoting or destroying the possessor. Where it is properly used, it enhances the image of the possessor and where it is wrongly used, it damages the possessor - leading to failed governments, businesses and marriages. The essential factor in the use of power is that the possessor should love those he or she exercises power over and where there is no love from the power possessor to those under him or her, the possessor loses relevance. The United States Congress has told Iran that the outcome of its meetings with the U.S Secretary of State, John Kerry, will not be ratified by the Congress. The message further widens the difference between the White House and the Congress over Iran's push to acquire nuclear power. Israel's prime minister, Benjamin Netanyahu last week disapproved the U.S having any deal with Iran over the latter's plan for nuclear power. 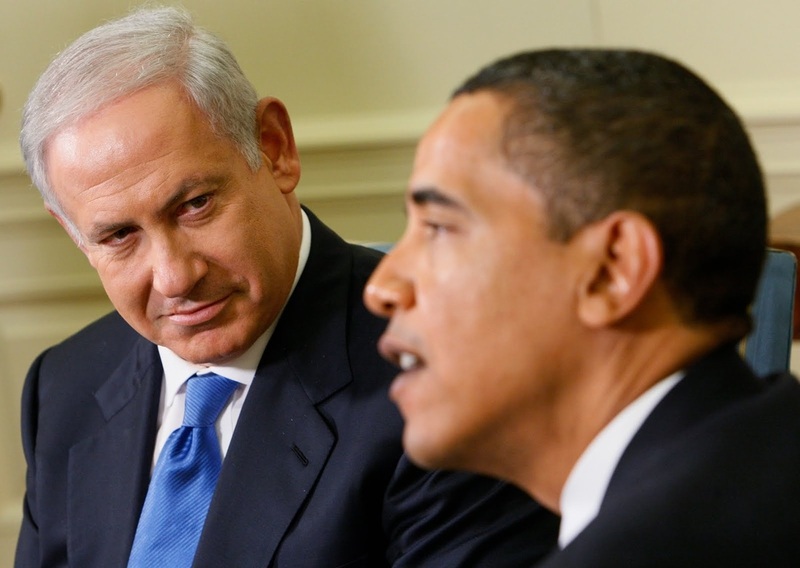 Netanyahu made his decision as Israeli's PM known in a speech to the U.S Congress. Netanyahu said that because Iran is against the ISIS or fighting alongside coalition forces, is not a reason to trust it with any deal for it to acquire nuclear power. As Netanyahu delivered his speech, the news said John Kerry was meeting in Netherlands with Iran's foreign minister, Muhammed Javad Zarif. Yet, in another report, President Obama made it clear that Iran cannot acquire nuclear power. The ISIS latest episode of killing 21 Egyptian Coptic Christians by slashing their throats in Libya has sent the world into shock. The Egyptian President Fattah el-Sisi decried ISIS kidnaping of the Egyptians and that the Egyptian authorities would not allow throats of Egyptian children slashed. Egypt immediately despatched a fighter jet to locations in Libya. But it was either too late or the fighter jet did not hit the right target. The news said the Egyptians's throats had been slashed. Egypt has followed with additional assaults on ISIS in Libya and urged the world to join forces against murderers. The New York Times has reportedly written an opinion on political development in Nigeria. A Nigerian newspaper, The Punch, has reported the Times' opinion, as if the Times' opinion writers know more about Nigeria than them in the Punch who are on the ground in Nigeria. Some observers say the Punch report of the Times's opinion is because the Times' opinion allies with what the Punch editors approve as the reason elections in Nigeria have been postponed, allegedly by the ruling power to create more work for the opposition candidate in term of campaign expenditure, while the sitting president relies on government money for campaign. But the truth on the ground in Nigeria is that the postponement of the election has been reported as unilateral decision of the chairman of the electoral body, Attahiru Jega. President Goodluck Jonathan said this in an interview with the country's media executives, but that he approves the electoral commission's decision because a whole large number of eligible voters are yet to get their voting cards. Jega has not repudiated Jonathan's words. Some people have asked that If the election campaign in Nigeria was to be in the United States, what would have been Times' reaction to the issue of the opposition candidate's certificate trouble and the consequent perjury? Boris Nemstov is dead and he being eulogized for fearlessness and bravery as a known critic of Vladimir Putin. World leaders have asked for transparent investigation into Nemstov's assassination. 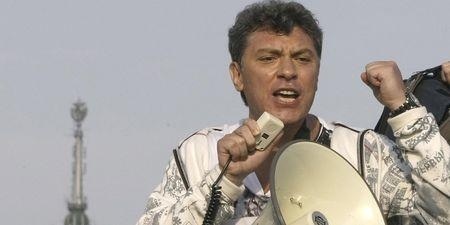 Some people have said that the state or unknown people may have killed Nemstov, and others say forces against peace in Russia may have killed him to create problem for Russia. No arrest has been made in the assassination. The Russian government has condemned the assassination and ordered an investigation into the murder, placed under Putin's direct control. It is manifest that from the adoption of the name Islamic State in Iraq and Syria, ISIS, which simply makes the world refers to ISIS as 'Islamic State', the battle between the civilized world and militants has turned into a creative idea. Apart from the war in Nigeria against Boko Haram; the war in Somalia against Al-Shabaab and the war in Iraq, observers say that the trouble is becoming more and more troubling with the word 'Islamic', which ISIS has added to its name. Israel and Palestine have at last agreed on a 72 hours ceasefire, creating a window for a permanent peace effort. But observers are skeptical of what information from Gaza will be after 72 hours. As at yesterday, announcement of Israel's unilateral withdrawal, in a manner of embracing Jesus Christ's teaching about living in peace with neighbors was shattered, amid argument of a strike that killed an eight year-old at the beginning of a ceasefire. Vladimir Putin: What Kind of Man? The talk on the world stage has been about Russia and Putin in Ukraine, and what kind of man is Putin. And yet no one has been able to decipher Putin's intention in Ukraine, safe that his decision determines western leaders' moves. Malaysian prime minister, Najib Razak, has created a debate with a premature closure in the matter of the missing Malaysian aircraft and its 239 passengers. The debate is two pronged: Was the prime minister right in his assertion that the MH370 ended its journey in the Southern Indian Ocean and all passengers perished with it? Was his announcement without waiting for confirmation or otherwise of debris found as that of the aircraft premature or not? The immediate reaction of family members of passengers in the ill-fated aircraft was that they disbelief the prime minister's assertion and that they needed to hear more from him. General public discussion points to saying that the prime minster has widened suspicion in the matter of the missing aircraft and passengers, rather than achieving a closure. Three months ago, Ukrainians began a struggle over fiscal issues. They were hardly aware that the country's problem had just started. Just two weeks ago, the problem snowballed into the running of the president and his opponents declaring a new government. A woman one would think lacks knowledge about Ukraine's crisis, has recommended that world leaders go back to the agreement reached by the EU, Russia and Ukraine leaders before Viktor Yanukovych ran out of Ukraine, as the only solution for the amicable settlement of Ukraine's crisis. Fugitive president, Viktor Yanukovych, says on Thursday he remains Ukraine's president and appeals to Russia for protection. Ukraine MPs' nominated interim leaders say Yanukovych has lost touch with reality. Ukraine's interim leader, Oleksandr Touchinov, has warned against separatism. Already, voices in the mix suggest a struggle for power and mismanagement accentuated by corruption. Despite Ukraine's MPs' selection of an interim leader, Oleksandr Torchinov, there are reports of power vacuum in the country. Consequently, Russia and the United States have told each other not to intervene in the country's internal affairs. Meanwhile, Victor Yanukovych's whereabouts is unknown. Ukraine has a new interim leader. He is Oleksandr Torchnov. He was appointed after the Ukraine's MPs dismissal of Viktor Yanukovych on Saturday, according to the BBC.
. The Swiss people have spoken against freedom of movement between Switzerland and other European countries. Imogen Foulkes reporting for BBC says the Swiss government is bound to respect the peoples' wish because it is democracy at work. The Swiss people are proud of their direct democracy in which everything is decided through referendum. The development in Switzerland is an opportunity to take a look at democracy and how it is currently faring around the world. Democracy is government by the people for the people and the peoples' wish is final. In representative democracy, the people speaks through elections and their representatives in an assembly and in a direct democracy - through referendums. Democracy as can be seen is not a government of few powerful people over the majority. Immigration enthusiasts may have been paying attention to developments in Switzerland, where a referendum will determine whether or not residents will receive monthly stipends. Just as the news of the referendum published by the BBC may have triggered immigrants' interest in eyeing Switzerland for a better life, observers view the vote in the country for tightening immigration - that immediately follows the referendum news - as discouraging. Like other countries that are buoyant and are discouraging immigration, the Swiss 50.3 percent vote in favor of curbing immigration has reportedly defeated the Swiss-EU agreement on freedom of movement and puts the country among rich countries shutting its doors against immigration liberalization, based on peoples' wish. The United States, Europe and Russia are sparring over which country will be Ukraine's friend, amid protest in the country for a democratic government. Russia wants to be the country that has Ukraine's attention; Europe thinks Ukraine should be in the EU and the United States is reported as making diplomatic effort to ensure a man believed to be a believer in democracy comes to power. The US favor of a man Europe does not support emanates in a speech by assistant Secretary of State,Victoria Nuland, to the US ambassador to Ukraine and for which she had apologized, according to reports. Rebels fighting the Bashir Al-Assad's government in Syria have formed a coalition and they have turned the guns against the Al-Queda forces, reports reveal. In Israel, immigrants without papers could go to jail for one year without trial according to a new Israeli law. The lifting of restriction on citizens of Romania and Bulgaria by the European Union, EU, January1, 2014 has opened a pandora box of controversy.